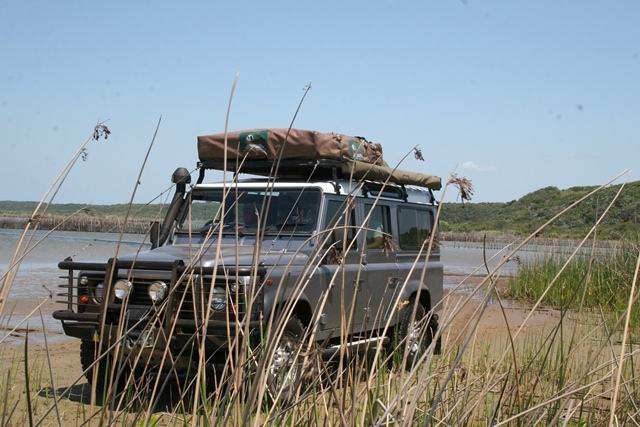 The 4 day 4×4 Kosi Lodge adventure has been put together to allow you to experience the and explore the unique environment of the Kosi Reserve. This is so much more than just a normal safari and includes a number of exciting activities outside of the normal game drive and viewing experience. 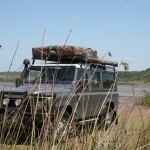 Kosi reserve is situated in Isimangaliso Wetland Park and is an internationally recognised heritage site. There are a number of exciting activities to do including canoeing on the Kosi river, wine tasting, trips to the local elephant park, fishing and much more. Project Type: Safari Tour – 4 Days. Location: St Lucia Wetlands, Kwa Zula Natal, South Africa. Pick Up Point: Transfers can be booked from a number of locations, please contact us for more information. Price: from £500 per person. 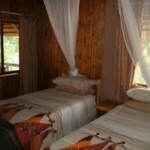 Accommodation: Kosi Wilderness Lodge, single, twin or double rooms. 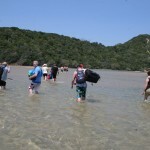 14:30 – Depart on Raffia Forest Walk. 16:30 – Return to lodge. 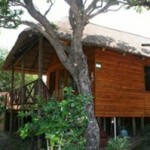 Overnight on a Full Board Basis – Kosi Forest Lodge. 09:30 – Depart on boat trip (Completely weather dependant). 09:30 – Depart on Canoe. Afternoon at leisure or another activity for own account. It is situated in the Kosi Bay Nature Reserve in the Isimangaliso Wetland Park an internationally recognized World Heritage Site. Kosi is a 16 Bed wilderness Lodge offering guests unique opportunity of exploring a pristine wetland environment in guided canoes and vehicles. 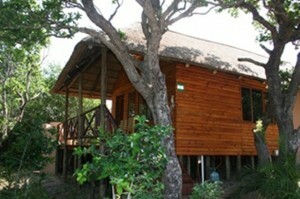 The accommodation is thatched on raised wooden decks hidden in the indigenous sand forest. Each room has mosquito nets and beautiful open air bathrooms enclosed by reeds with a bath and shower sunk into the sand. – Guided canoeing on Kosi Lakes. – Boat cruises and beach visit. 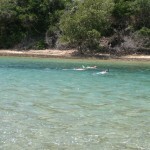 – Day trip to Kosi Bay mouth, including snorkeling. – Guided walks in the Raffia Forests. – Ilala Palm wine tasting. 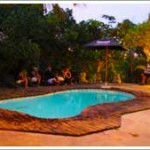 – Day trips to Tembe Elephant Park (By prior arrangements). – Fishing (not guided activity and guests must bring own equipment and permit). 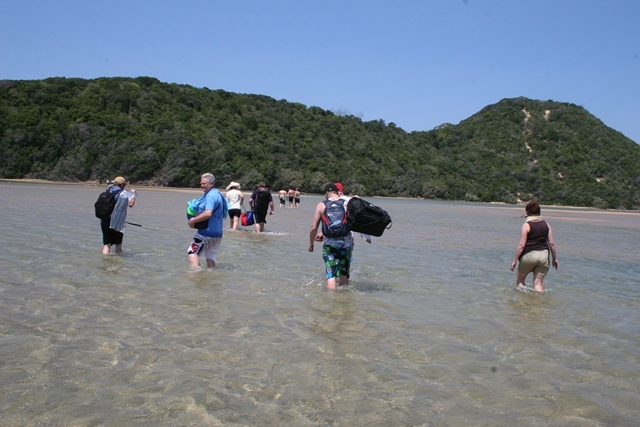 – Turtle tracking walks (only during 15 Nov – 15 Jan). In the far North Eastern corner of KwaZulu-Natal lies one of natures last frontiers – Kosi Bay part of the Greater St. Lucia Wetland Park – the first natural World Heritage Site in South Africa to be accorded this distinction. Unique in its people, resources, ecology, culture Kosi Bay epitomises the incredible splendour of untouched Africa at its most pristine. Kosi Bay often described as the last outpost of untouched African paradise, pristine beauty as God had originally created. Age old traditions passed down by generations of tribal existence still continue to this day in untainted originality. Ancient fishing kraals erected and tendered by the resourceful Tonga people provide sustainable catches that do not deplete the fish population. Kosi Bay was described by one of the first scientists to explore this region as “A wonderful aquarium and the most gorgeous aviary”. 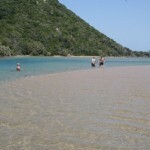 Kosi Bay’s pristine wealth of beauty and natural resources has to be seen with the physical eye to be fully appreciated. 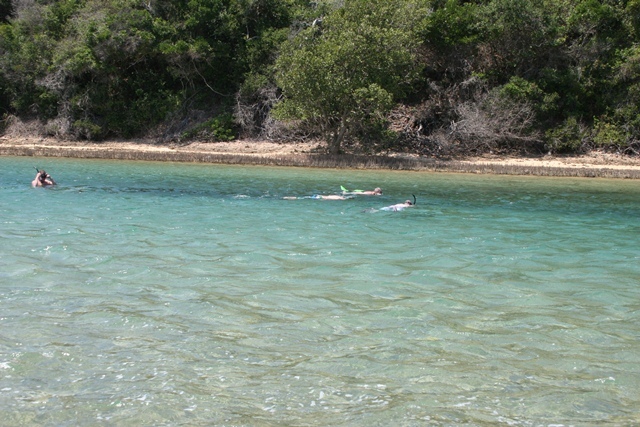 Snorkeling in the channel at the mouth of the estuary, with its kaleidoscope of tropical fish is a wonderful way of getting through another day in paradise. Over 200 species of tropical fish have been identified here. Surf angling from unspoiled beaches, boat fishing on the lakes, or silent rhythmic fly-fishing from the rocks and banks. Lake Makhawulani’s tidal ebb and flow brings fish into the estuary on every high tide. Kosi Bay is a system of 4 lakes ranging from freshwater to saline that feed into the ocean Forest of raffia palm, Raphia australis. 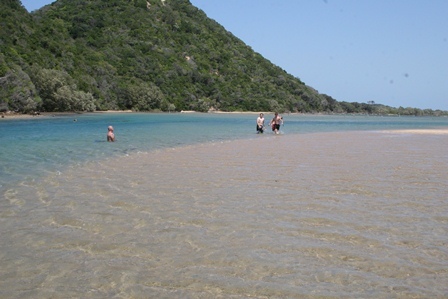 Kosi Bay is the only location in South Africa where this species occurs naturally. Its leaves, up to 18m long, are the largest in the plant kingdom. Sip sundowners in Nhlange Pub with amazing view and enjoy cuisine with a distinctive local flavor in the cosy atmosphere of the Umdoni (water berry tree) restaurant & bar overlooking the pool and the sun deck. Two, four and six bedded rustic lodges are comfortably appointed. Structures consist of thatched roofs, treated poles, wooden floors on stilts and reed walls – typically Tonga/Zulu style. 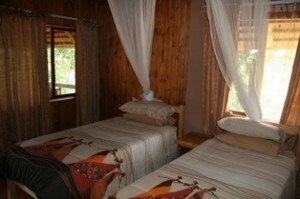 The accommodation is rustic more than plush but the setting and range of activities make a stay well worthwhile. 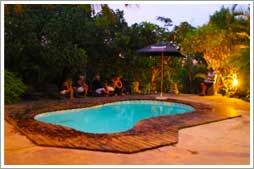 All chalets have fully equipped kitchens with private braai with access to boma areas. Accent is on comfort, informal service and attention. Guests are encouraged to explore this unique environment by friendly staff who are on hand to assist with information & arranging outings. For the adventurous there are numerous activities and excursions that fully utilise the many resources available. – Guided canoeing trip on the lakes. – Walk in Rafia Forest. – Full Day excursion – boat tour of the lake system, swimming at Bhanga Nek with Picnic Lunch (Subject to availability and not over Public Holidays). – Other activities not specified in itinerary.